At Harman Hardwood Flooring, we take pride in offering you a wide selection of flooring. However, too many options may be overwhelming when it comes time to choose the flooring for your room. We want you to make the most informed choice, so we used our expertise to put together a primer on ash wood flooring to help you decide if this type of hardwood flooring will work for your home or office. Ash comes in a variety of shades, from a traditional light tan to a more serious dark brown. It used to be incredibly common, which has given it a classic, or even vintage, feel. Its unique appearance falls somewhere close to hickory and red oak, but with large pores and a straight, pronounced grain that sometimes has a hint of wave to it. Ash wood flooring has a slight give or spring. What stands out most about ash is its strong character and natural beauty that is not lost when it is cut and prepared for flooring. When choosing your flooring, we recommend looking at the Janka rating, which tells you how hard to the wood is. Ash has a 1320 rating, which means it’s a harder wood that will stand up to a lot of use, especially in high-traffic areas such as entryways or living rooms. Another advantage of ash is that it does not absorb moisture as much as other wood flooring options, such as cherry. It’s moisture resistance comes in especially handy if you have small children or pets. However, as with any hardwood flooring, you will still need to control moisture and mop up spills immediately. If you decide that ash flooring suits your home, you can get it as quarter sawn or plain sawn. Quarter sawn will look smoother than plain sawn. It also produces a more durable plank that will generally resist swelling and warping. On the other hand, plain sawn provides more detail as the grain is more noticable. In addition, plain sawn is more readily available, so it’s slightly more affordable. Another option to consider is whether you want your flooring as a hardwood or in engineered planks. Engineered ash wood flooring is made from plywood construction and topped with a high-quality veneer, whereas a hardwood is simply the wood cut from the tree. The look of each option is pretty much the same. However, engineered planks generally are less susceptible to issues with swelling and shrinking. The look of the planks are more uniform, but hardwood planks offer a more rustic aesthetic. How Much Does Ash Wood Flooring Cost? While ash makes a great floor, it can be pricier than other types of wood flooring, making cost somewhat of a concern. Several factors impact the overall cost. Unfortunately, ash trees have become vulnerable to a nasty beetle, which has significantly reduced the supply of ash hardwood. Because of this issue, it can be more expensive than similar options, such as oak. You will also have to consider the size of the area you want the flooring to go. The larger the area, the more material you’ll need, and the net cost increases. What about installation? While ash is generally fairly easy to install, it is usually a good idea to hire a professional to install it. Installation costs depend on different factors; for example, if you have an area with many angles or other features that have to be worked around, the cost could increase. 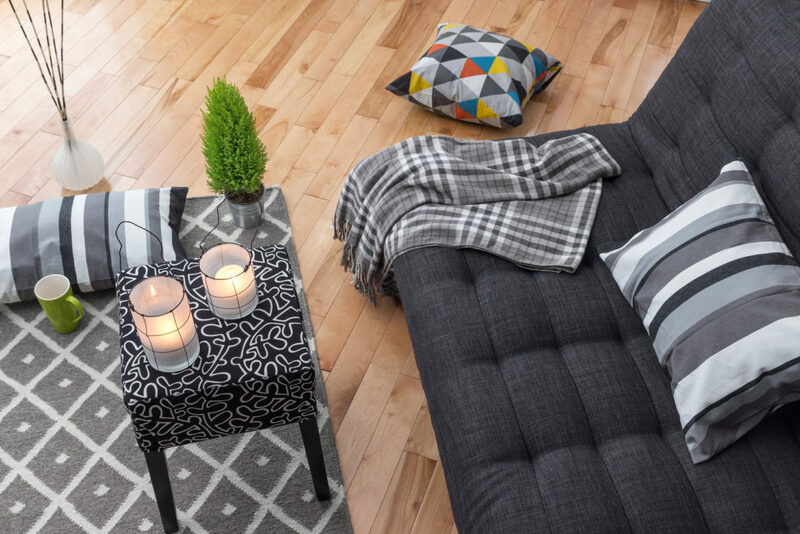 We hope that we’ve helped you learn a bit more about ash wood flooring. We want you to find the flooring that will make you happy for years to come. Use our hardwood wizard to discover your hardwood flooring preferences, or contact us if you have any questions.